If you’re looking for a reliable and experienced physiotherapist in Timperley, then look no further that Physio Wellbeing. Our team of highly trained and qualified physiotherapists are experts in providing our clients with person specific treatments designed to relax and efficiently treat and injury or muscle pain. Our physiotherapists located in Timperley are well experienced in treating all aspects of musculoskeletal pain, often experienced by our more elderly clients. When our elderly clients are suffering in pain it can be completely debilitating as it reduces their mobility which can leave them trapped inside their own house. For a fulfilling and happy life it is important for elderly relatives to be able to get out and about and socialise, painful muscles and joints can sometimes stop this. 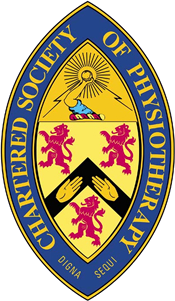 Physio Wellbeing also has a well-established history helping clients who have suffered an injury resulting in the need for physiotherapy. Whether the accident is a sporting injury or resulting from a car crash, trip or fall we can offer you personalised treatment options to relieve the pain as quickly as possible. We offer all our clients a personalised service, tailor made to suit you. We understand that treatment of injuries needs to be as individual as the client we are treating. No two injuries are the same and no two clients are the same either. When you get in touch with Physio Wellbeing we will offer a full and thorough assessment of your pain or injury so that we can have a clear idea of what kind of treatment you will need. We then arrange a treatment schedule unique to you. Call us on the number provided to start your journey to recovery with us today. Alternatively fill in the form below and one of our experience team members will get in touch with you.